Which school year is this booking for? Which program would you like to book? Who will be participating in the middle school program? Who will be participating in the senior school program? Who will be participating in the program? Which Year 12 seminar(s) would you like? What are you able to provide for the presentations? Alcohol & other drug education is most effective when it is embedded and supported by student's regular school curriculum. Please provide a brief overview for how students will be supported with alcohol & other drug information before and after the presentation of the Encounter Youth Education™ seminars. How did you hear about Encounter Youth Education™? Have you received a tailored quote from Encounter Youth Education™? Submission of this booking form creates a binding agreement between Encounter Youth and schools/community groups, to ensure a safe environment for participants and the effectiveness of the presentation. This must be agreed upon before the booking will be finalised. Ensure the most appropriate staff members attend and engage at all times to provide behavioural support and to meet duty-of-care obligations. Provide emotional and practical support to students/staff following the completion of the seminar(s). Notify Encounter Youth, before the seminar begins, of any relevant issues/incidences related to the topics to be presented. 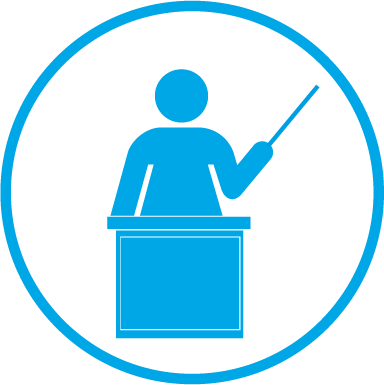 Provide an effective presenting space, with appropriate seating per number of students and a clear viewing path of the presentation for each student. Allow adequate time for the presenter to set up prior to the presentation. We suggest allowing 15 minutes to set up. Notify Encounter Youth of any other agencies presenting or invited to the seminar(s). Notify Encounter Youth about relevant participant information when working with this group i.e. literacy, behaviour or learning preferences. Encounter Youth must be contacted in writing by email or letter at least 2 business days prior to the seminar presentation. If a cancellation is made with less than 2 business days notice, the full charge will be applicable. Under any circumstances, if Encounter Youth has paid travel costs prior to the cancellation, these will need to be paid in full by the school/community group. Based on your location, an additional travel fee may apply. We will be in touch with you within 1 business day to discuss a quote. Encounter Youth must be contacted in writing by email or letter at least 5 business days prior to the seminar presentation. If a cancellation is made with less than 5 business days notice, the full charge will be applicable. Under any circumstances, if Encounter Youth has paid travel costs prior to the cancellation, these will need to be paid in full by the school/community group. p style=”text-align: center;”>Find out more about Encounter Youth Education™ or return home to see all we do at Encounter Youth.